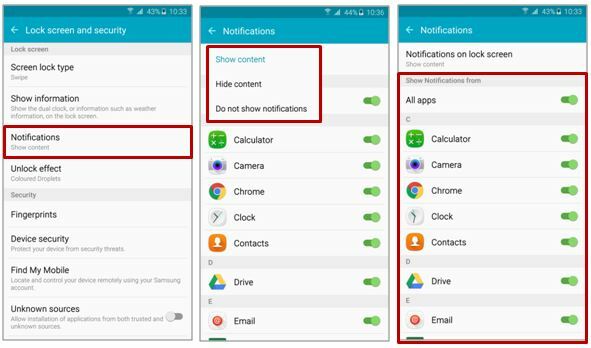 Galaxy S6 EDGE Plus: How to set up the notifications? content of notifications for each app on the locked screen. Please check the guide below. Please go to Lock Screen and Security Settings.